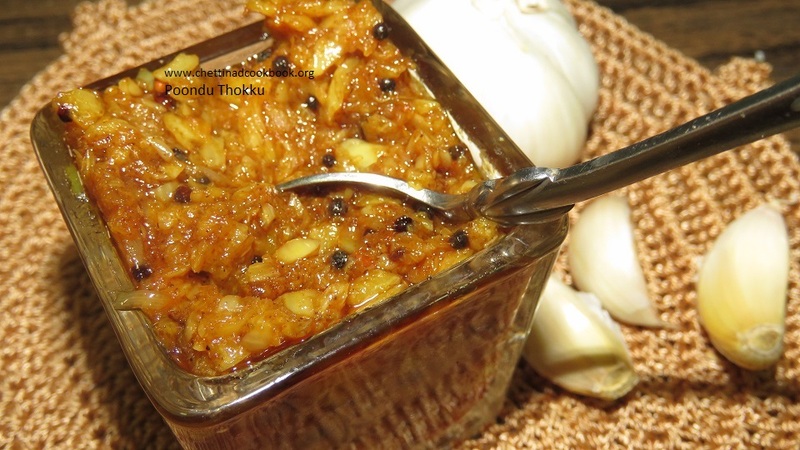 Flavourful and aromatic garlic thokku is a wonderful combination of most of our main dishes. We know garlic has innumerable health benefits on the proper intake. This form of garlic with mild spices will increase your appetite, helps in digestion, clears your bowel, balances blood pressure, congestion and treats gastric problems. Take a thick bottom pan, add a teaspoon of oil and roast garlic until half cooked slightly golden yellow. Grind to a coarse paste. 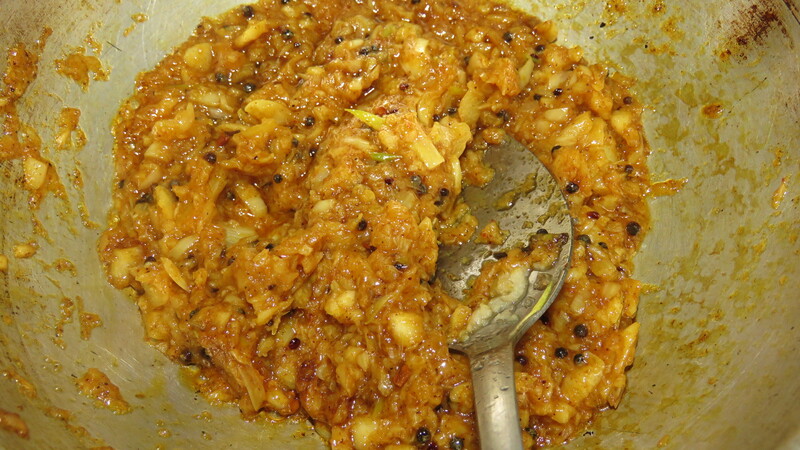 Heat pan with 2 tables spoon of sesame oil, season it with mustard seeds and asafoetida. Add curry leaves, methi powder, turmeric powder, chili powder and salt stir well in low flame gradually, add ground garlic paste to the seasoned mixture. 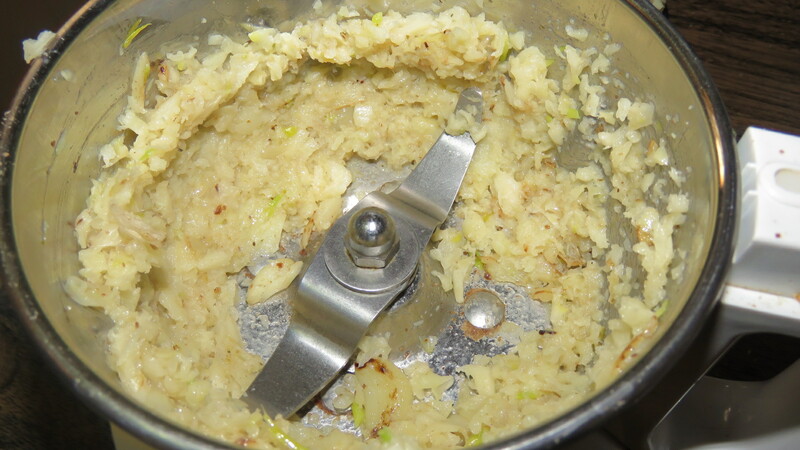 Cook on a low flame for 3 minutes finally, add jaggery and lemon juice mix well and switch off the flame add 1 teaspoon of coconut oil for flavor.